Now that Gov. Jared Polis has gotten the money he wants for all-day kindergarten, he's turning his attention to health care measures. Polis and Lt. Gov. Dianne Primavera are pushing state lawmakers to enact a series of measures designed to improve access to care and help lower the cost of premiums. 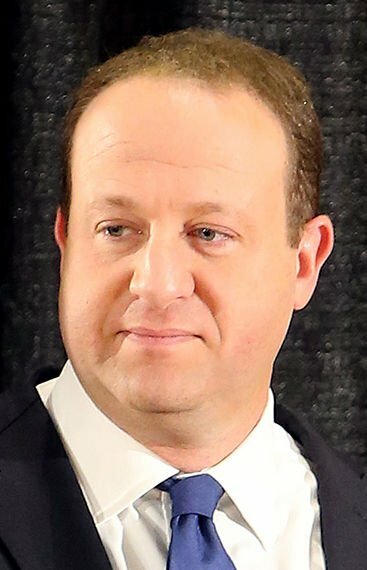 Calling it his roadmap to saving Coloradans' money on health care, Polis and Primavera highlighted several measures that are working their way through the Legislature, including such things as a reinsurance program, a public option plan and programs to lower the cost of health care and prescription drugs. "We all know that Coloradans are just sick and tired of being ripped off on health care costs," Polis said. "As a nation, we spend about twice as much per capita of any other western industrialized nation on health care, and yet we're in the middle of the pack on results. We are committed to saving people money, whether it's high premiums, deductibles, out-of-pocket cost, the cost of prescription drugs, all of those things that make it difficult for people to afford care." While the Colorado House just gave preliminary approval to a reinsurance program on Friday, one designed to lower premiums for insurers that offer coverage on the state's individual marketplace, lawmakers also are considering bills to crate a state-backed public insurance option, find a way to import cheaper drugs from Canada and increase transparency in what hospitals charge for services. Each one takes on the health care issue in varying ways, and some don't do anything immediately. The public-option measure, HB1004, is only a study of the idea; the Canada drug bill, SB5, requires a federal waiver, one that no state has yet received; and HB1131 calls for annual reports of hospital pricing. All of those things would take at least a year to implement, if at all. Still, Polis and Primavera said the issue is a complicated one and can't be solved overnight. "Both Jared and I believe that health care is a human right, and no Coloradan should have to go without health care because they can't afford it," Primavera said. "Some of the things we'd like to do in the short term is increase hospital price transparency so we really can determine the true cost of care and not just what the bills say."